The location is nothing short of prime. 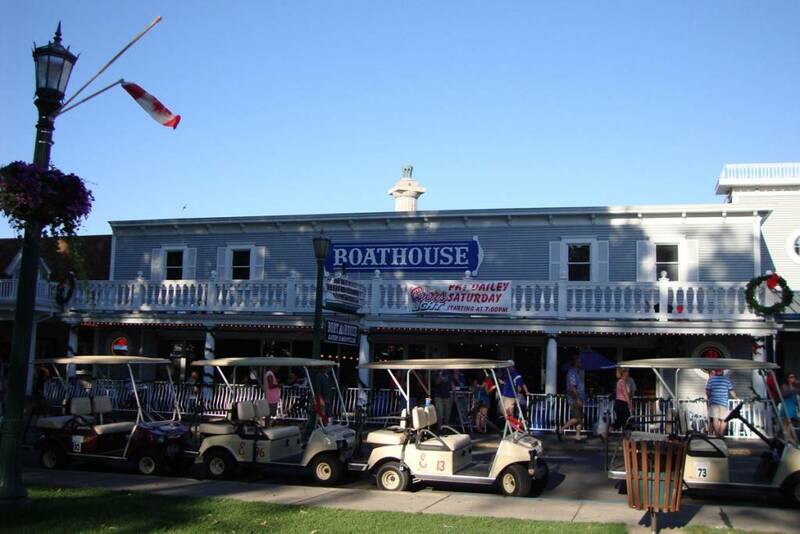 Located in downtown Put-in-Bay on Hartford Avenue, the Boathouse is near all of the action. Also, the Jet Express dock and downtown marina is just a short walk away. So, this is a favorite among boaters due to the proximity to the water. DeRivera Park is just across the street, as is Kimberly’s Carousel. So, finding this island favorite is a breeze. Menu options are aplenty. First, start a meal off right with a delicious appetizer. Choices include Smoked Fish Spread, Jamaican Jerk Shrimp and Maryland Crab Cakes. Also, more standard options are available. Chicken tenders and mozzarella cheese sticks complete the appetizer selections. The lunch menu is also very enticing. Sandwiches piled high are sure to delight. Also, the burger choices are exceptional. Guests can also opt to have a taste of the local fare with a Walleye or Perch sandwich. Dinner entrees include New York Strip Steak, Cajun Jambalaya and Chicken & Waffles. So, there are tasty options for even the pickiest of eaters. Diners can choose to eat inside the nautical themed bar or outside on the lovely patio. High quality people watching can be observed from the outdoor seating area. Tourists flocking to Put-in-Bay can be seen from this island favorite patio. Lastly, the excellent entertainment lineup at the Boathouse is worth checking out. Acts include John Salamon, That 80’s Band and the Velcro Pygmies. Be sure to save the entertainment calendar to see your favorite act.